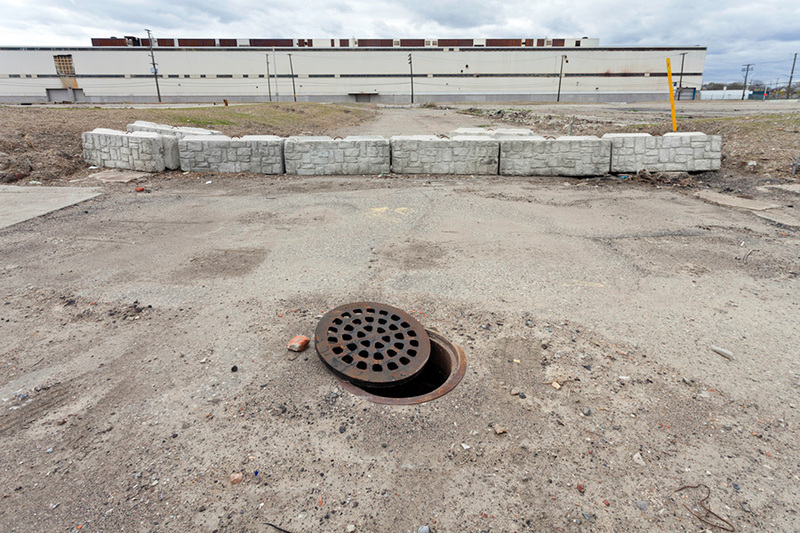 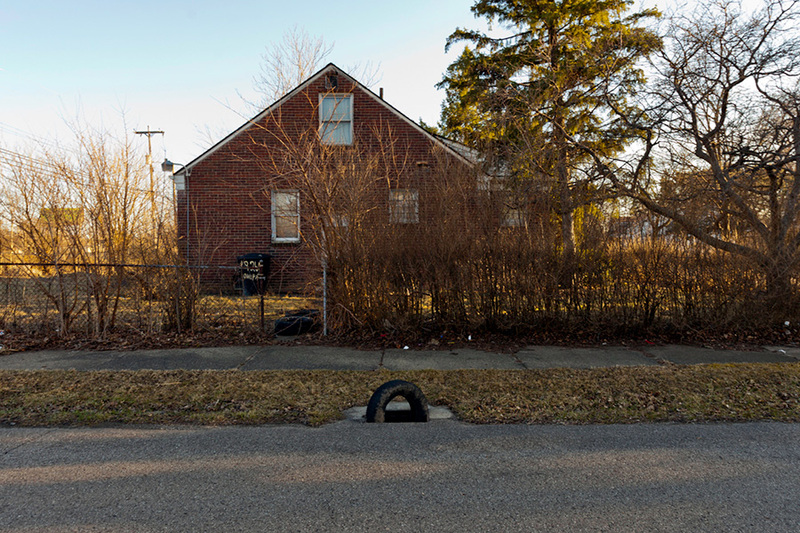 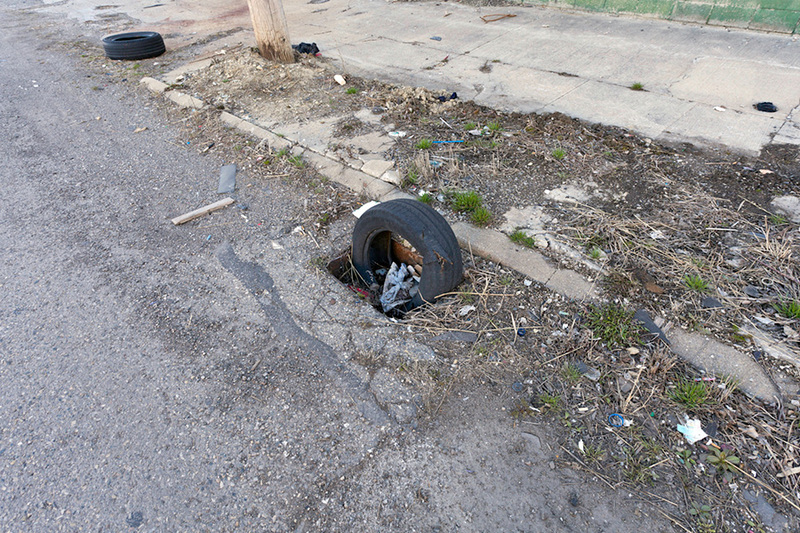 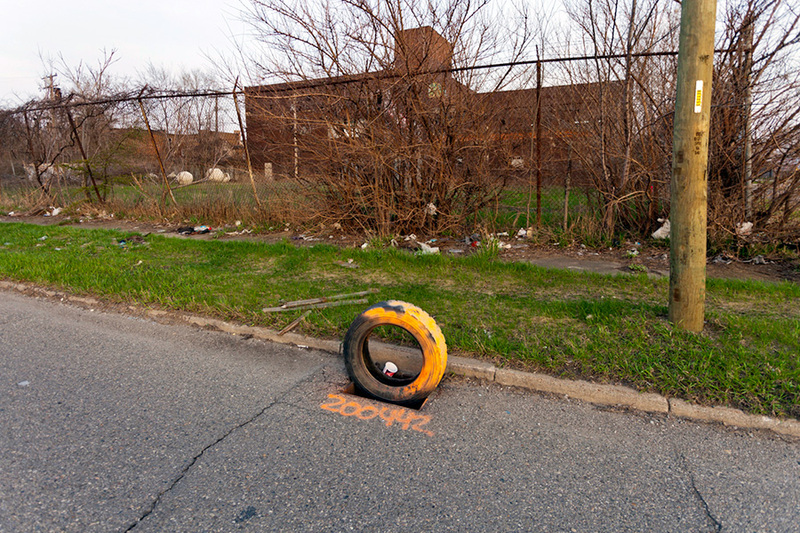 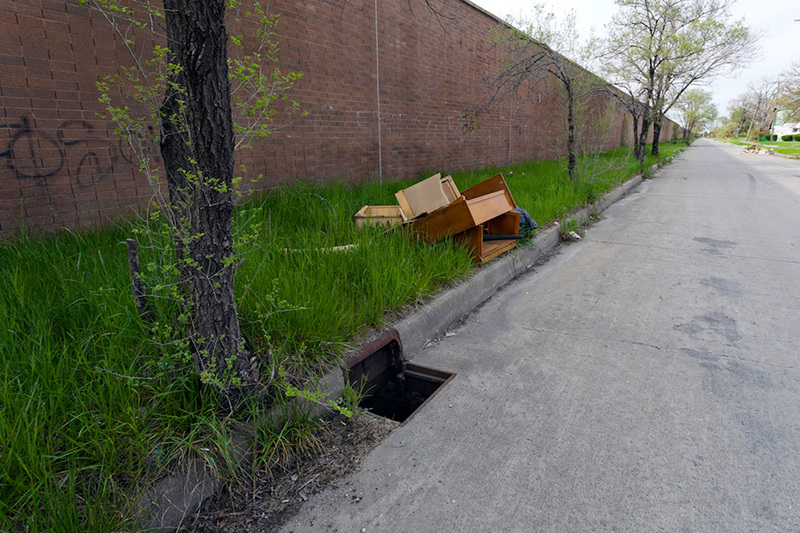 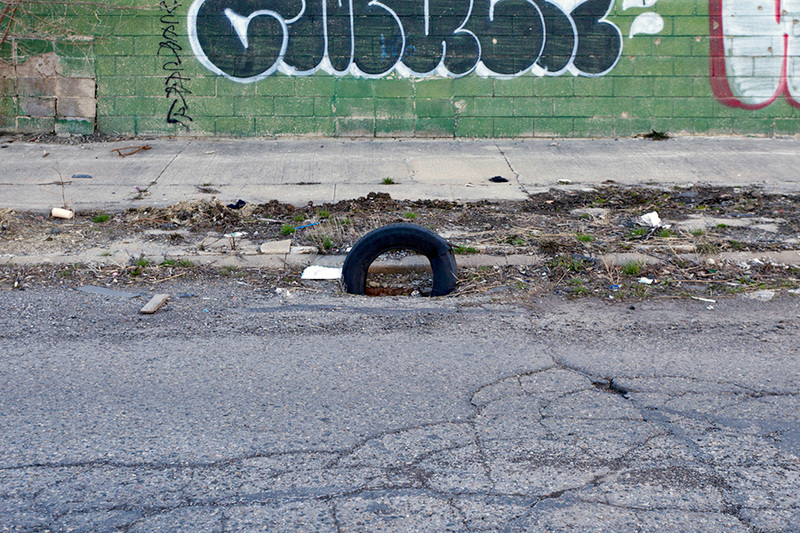 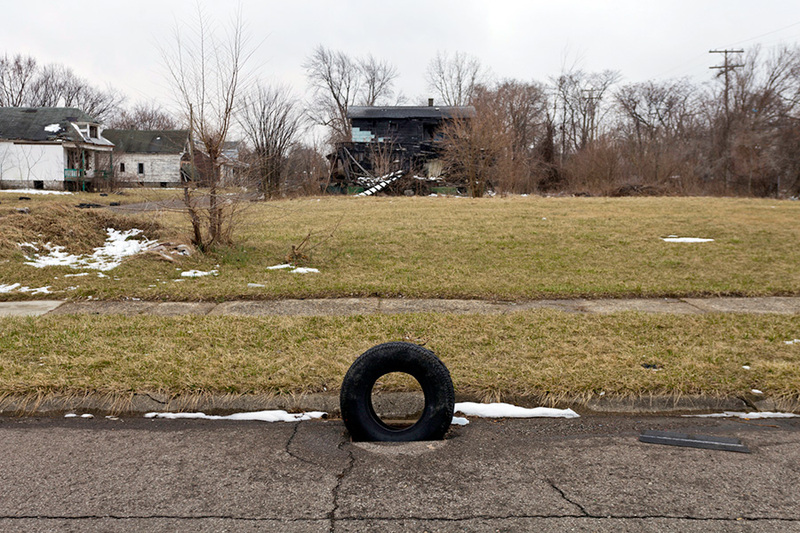 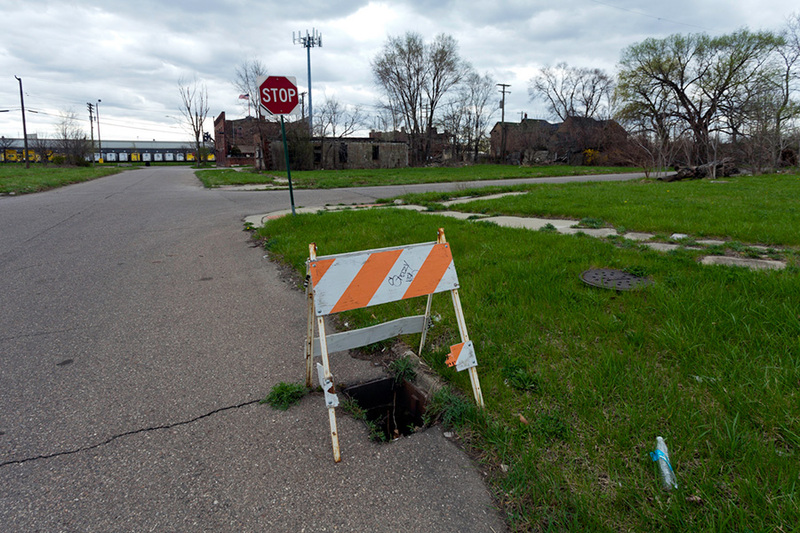 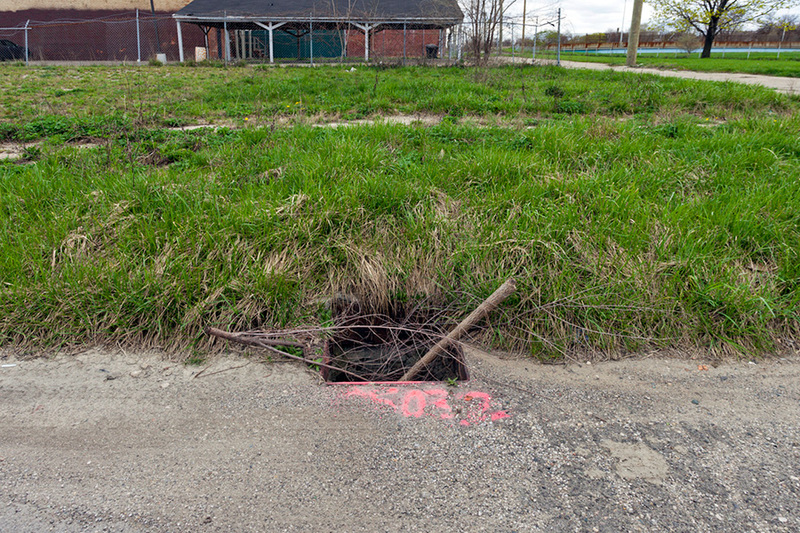 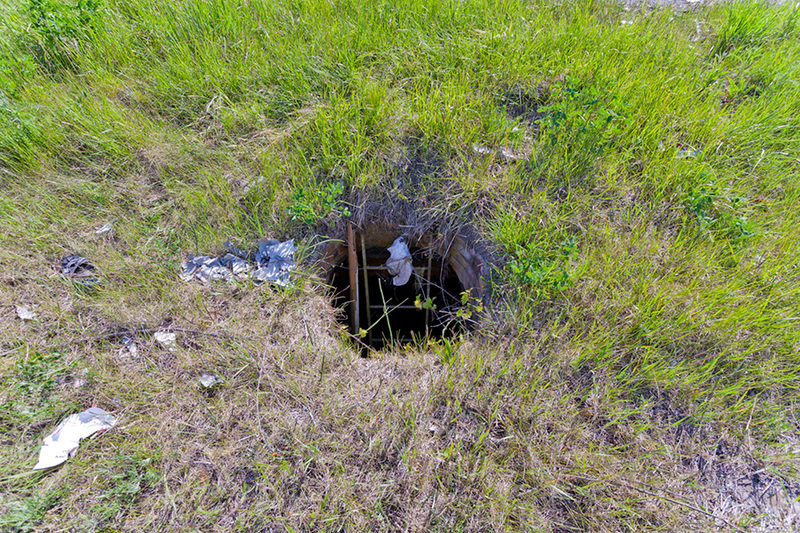 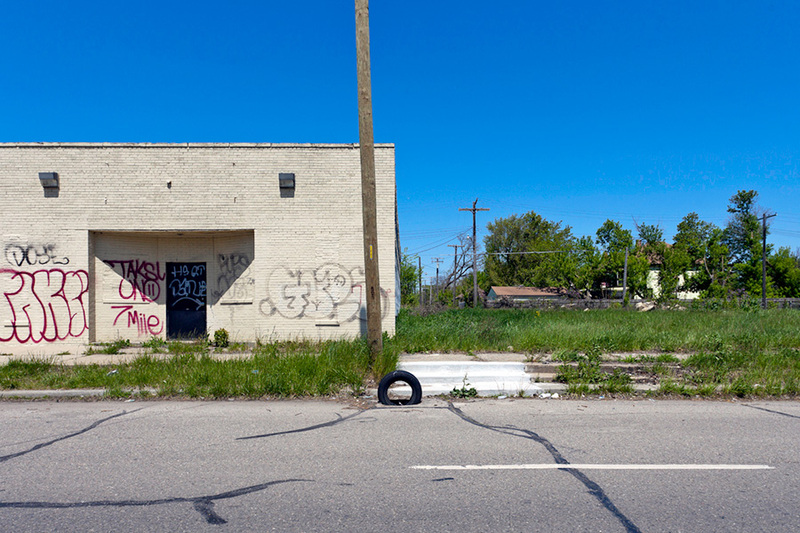 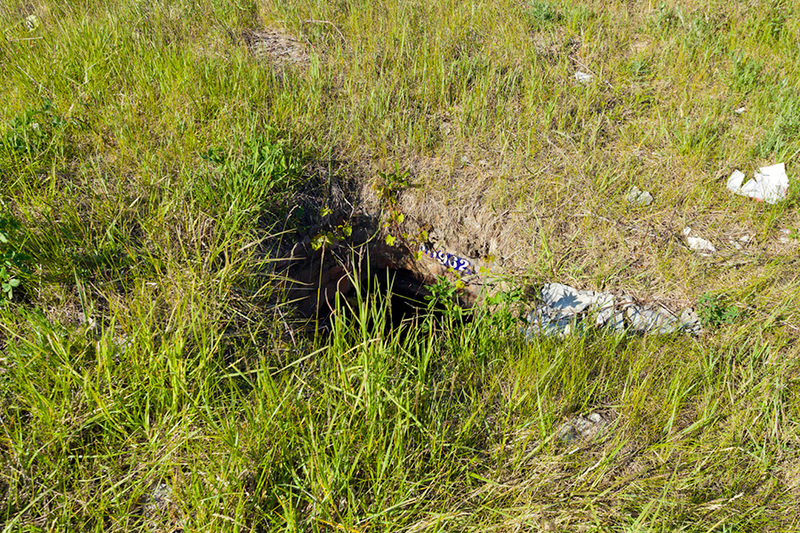 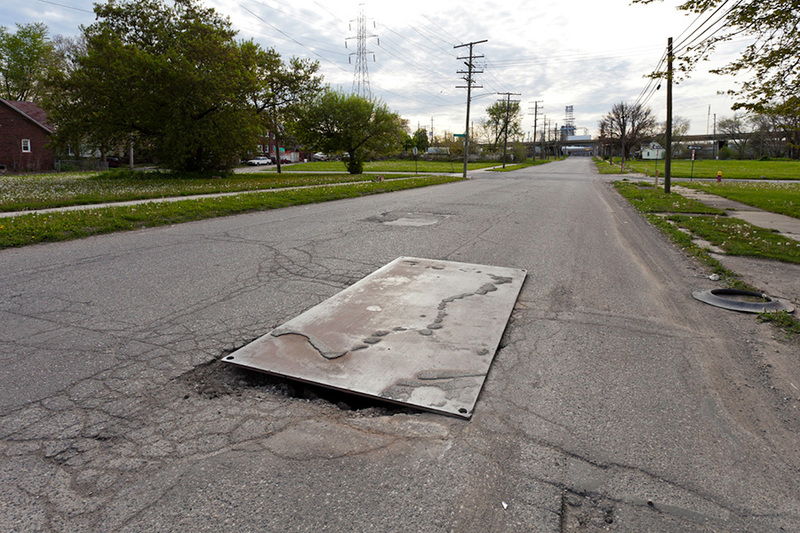 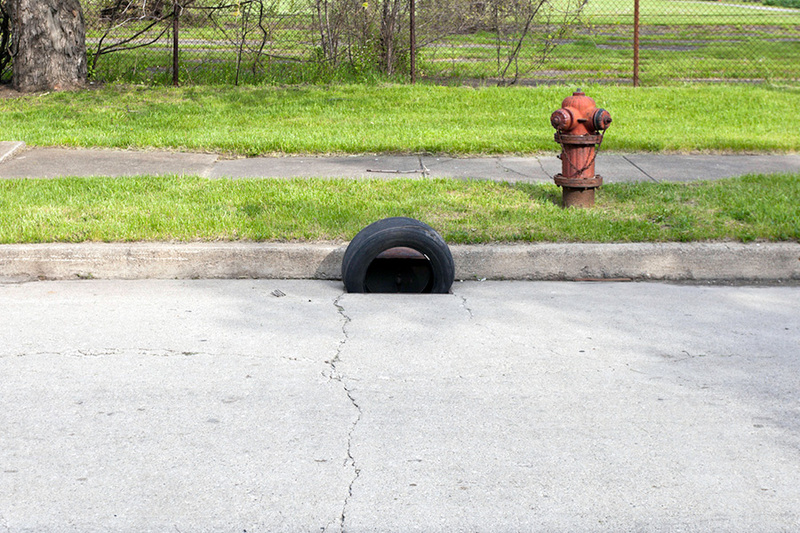 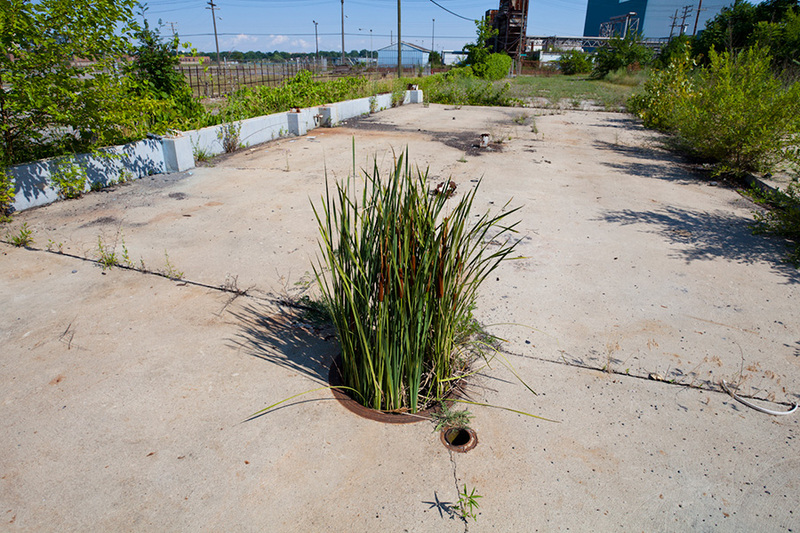 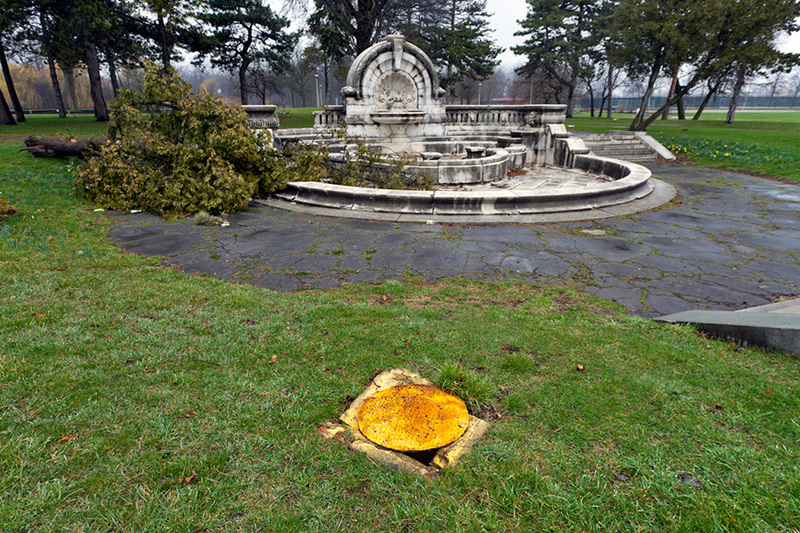 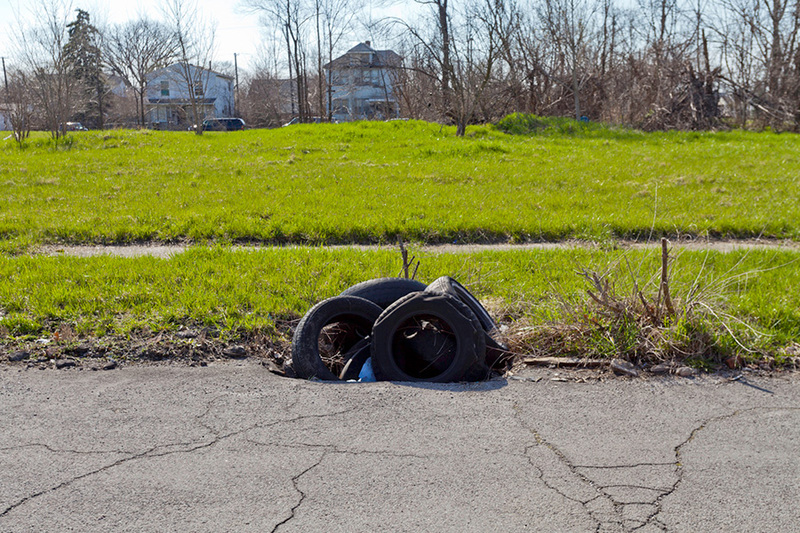 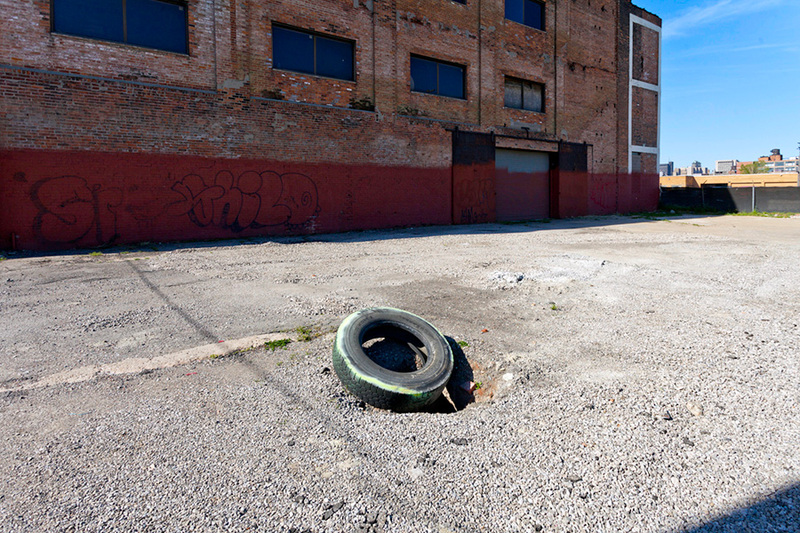 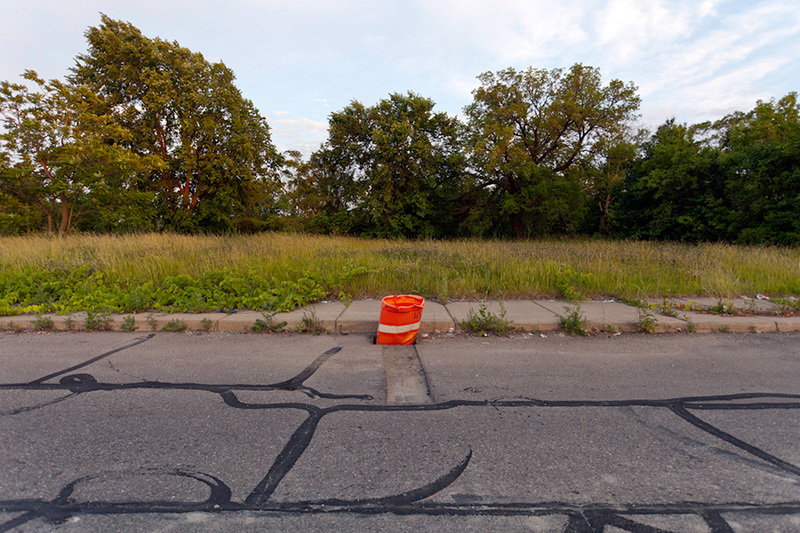 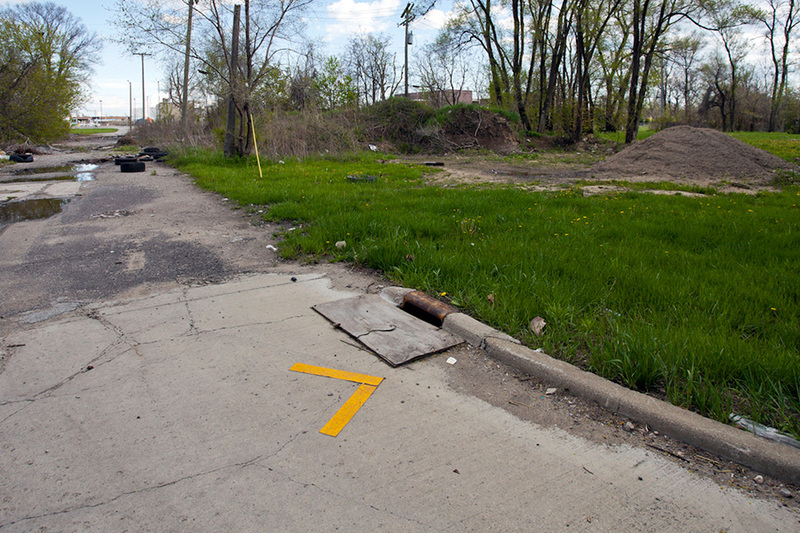 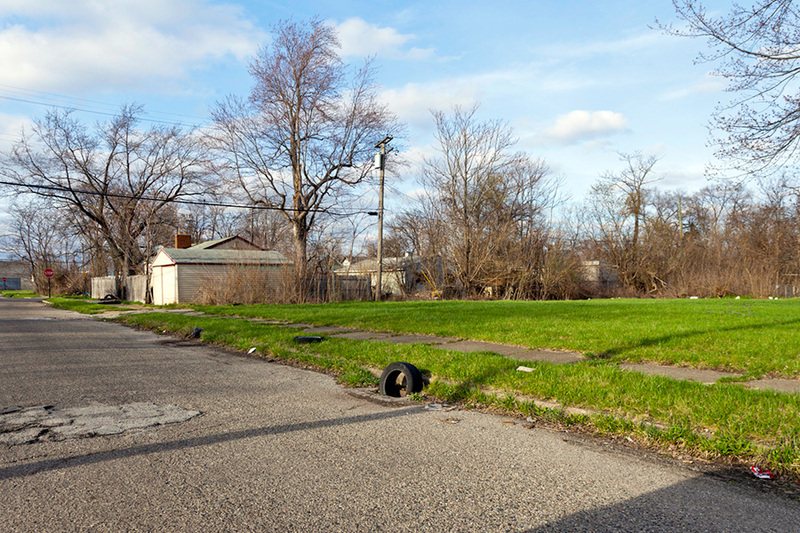 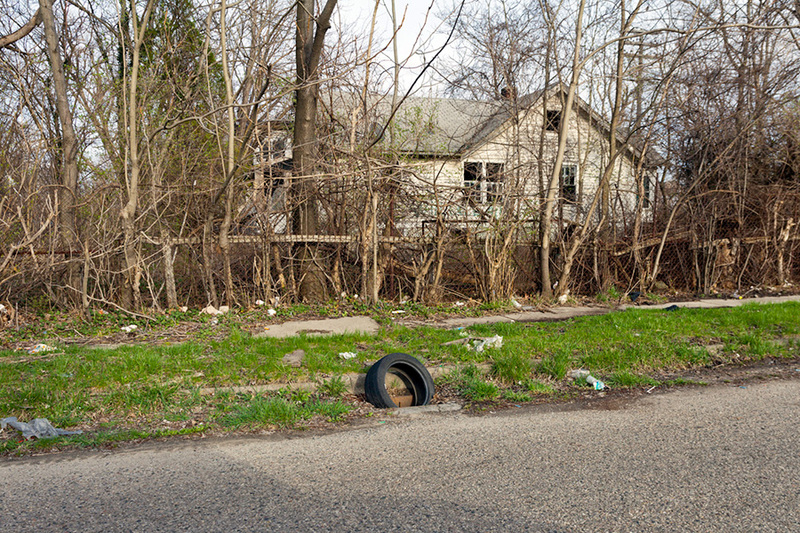 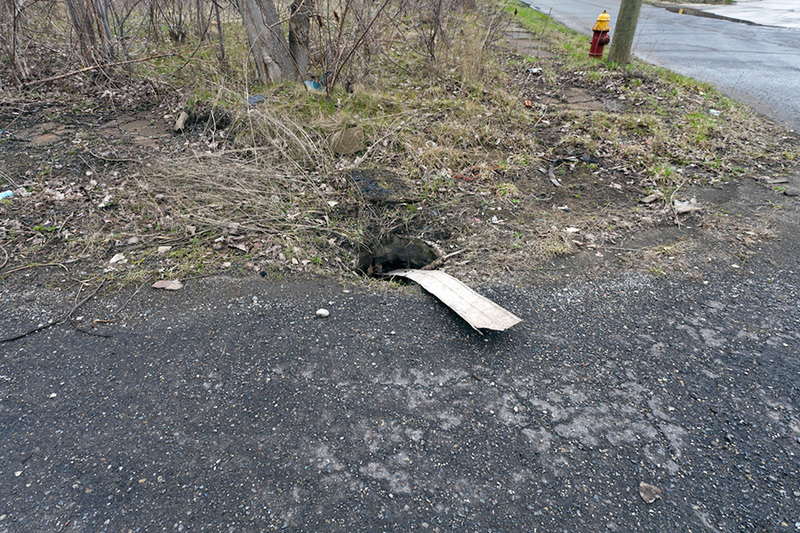 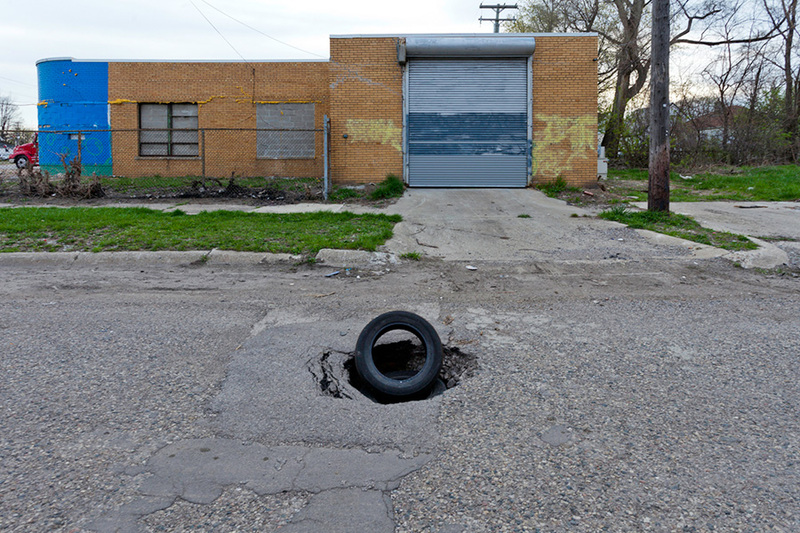 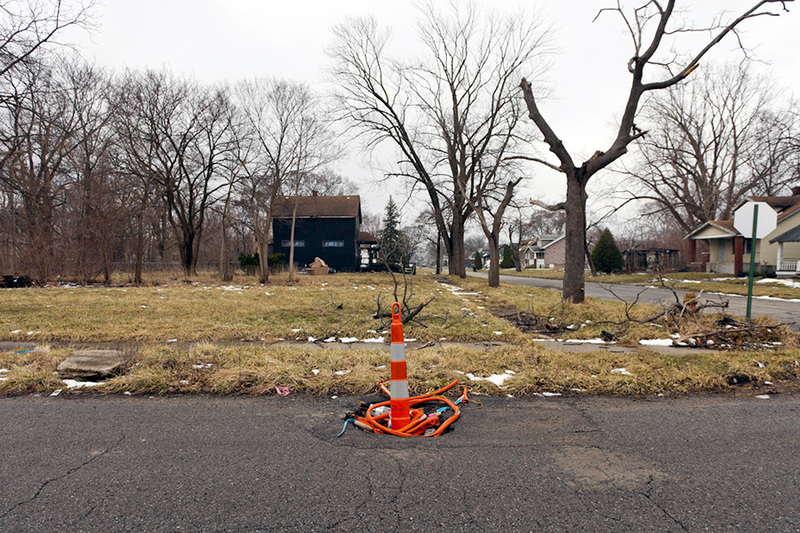 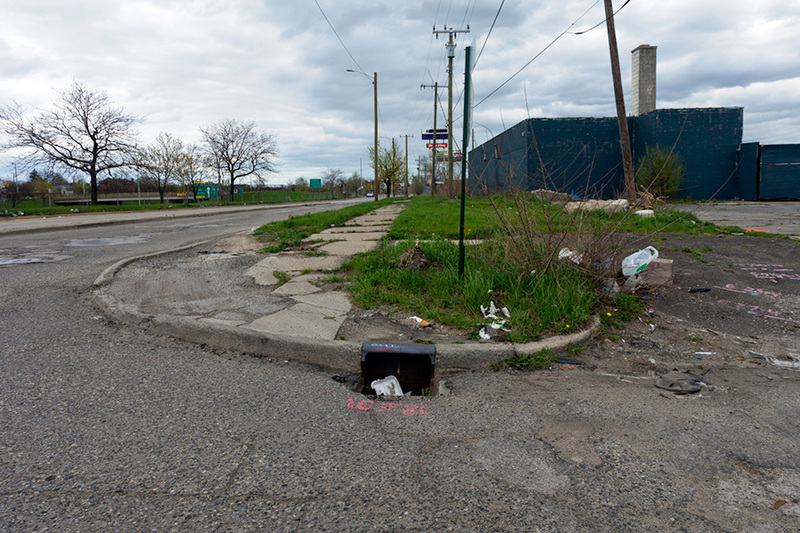 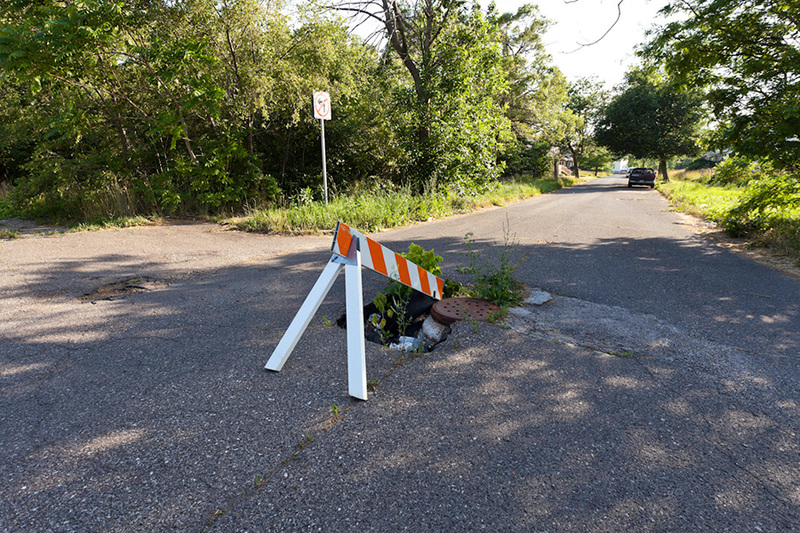 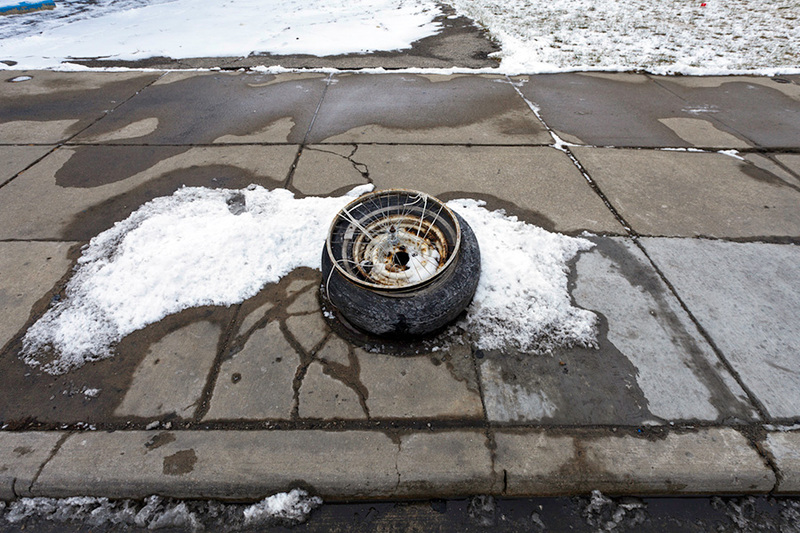 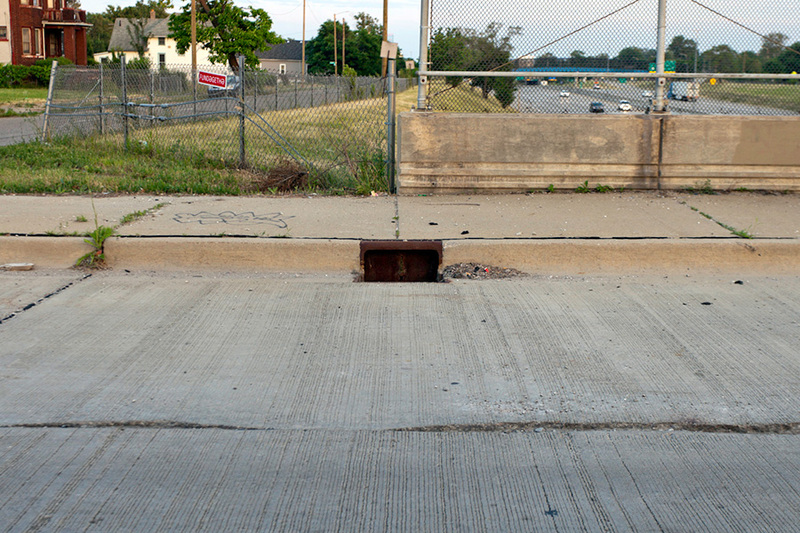 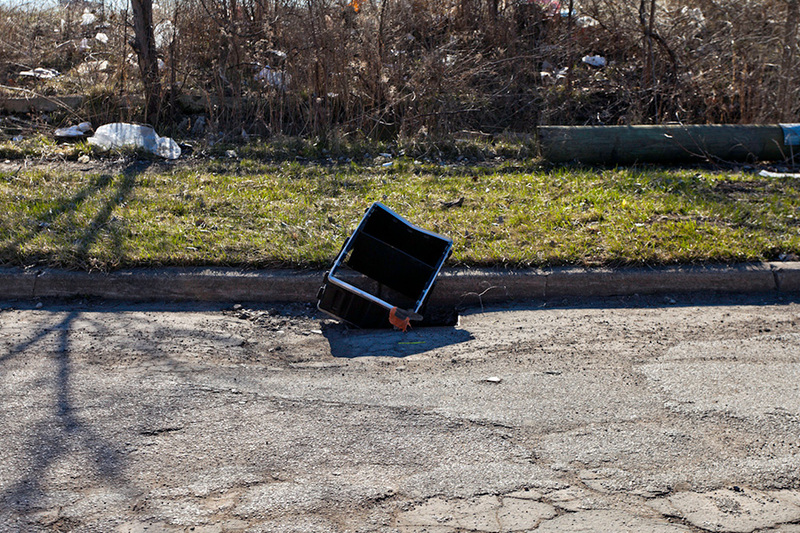 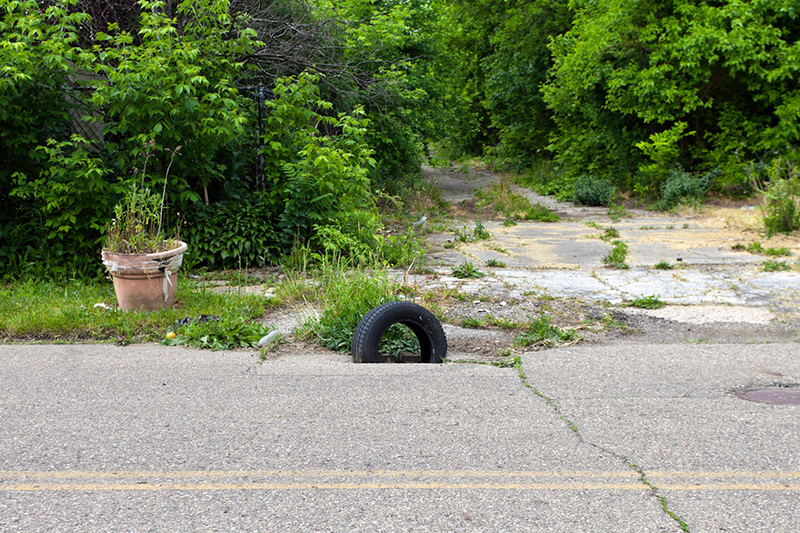 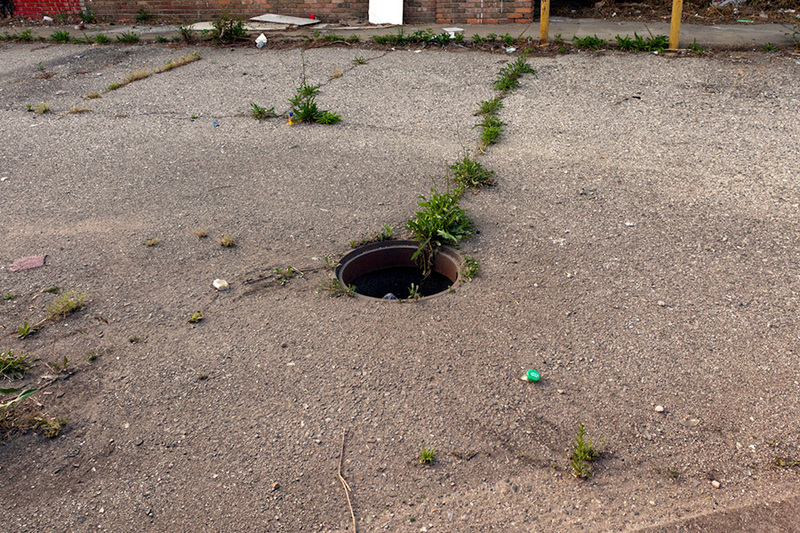 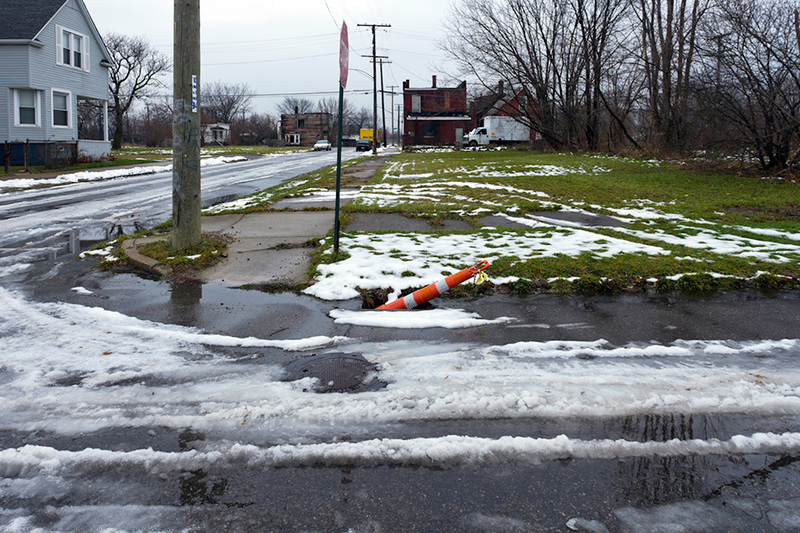 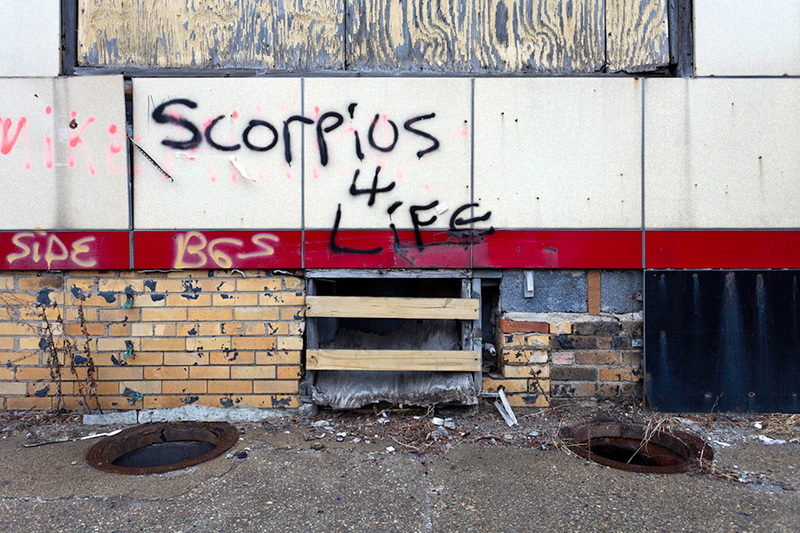 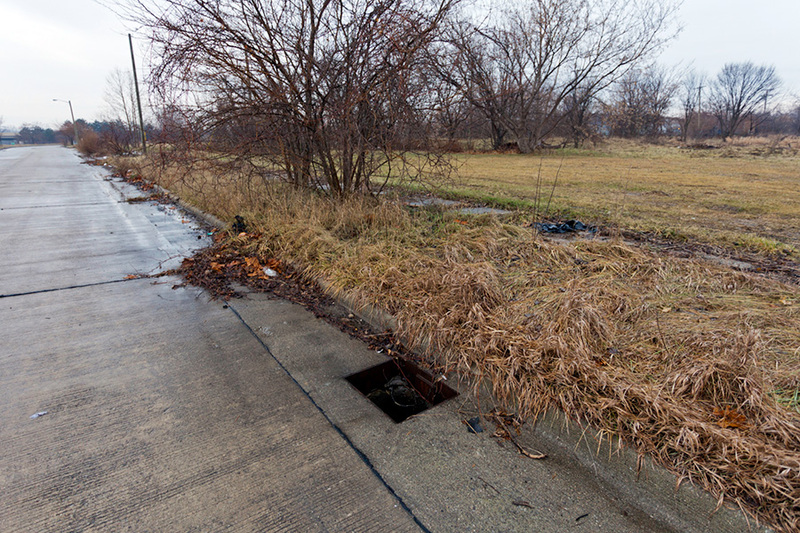 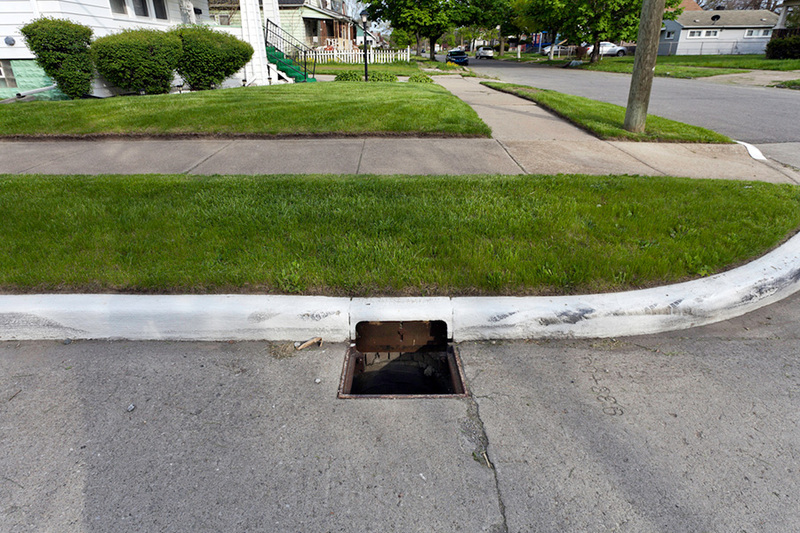 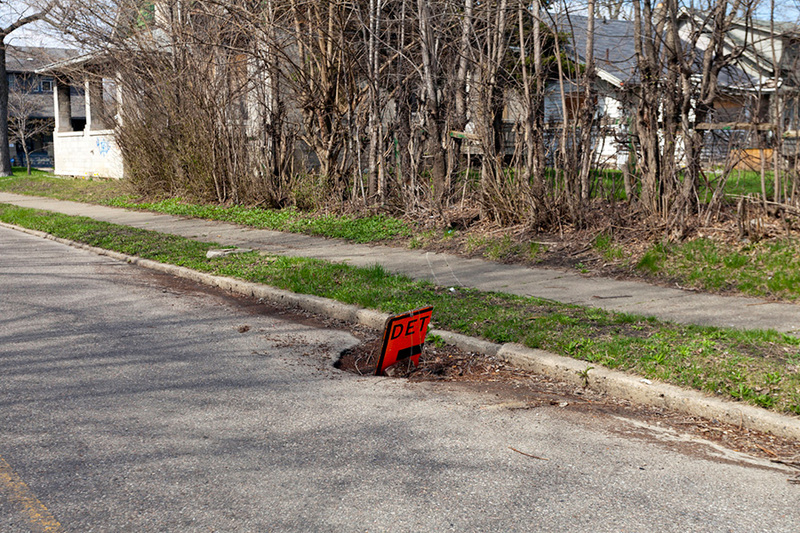 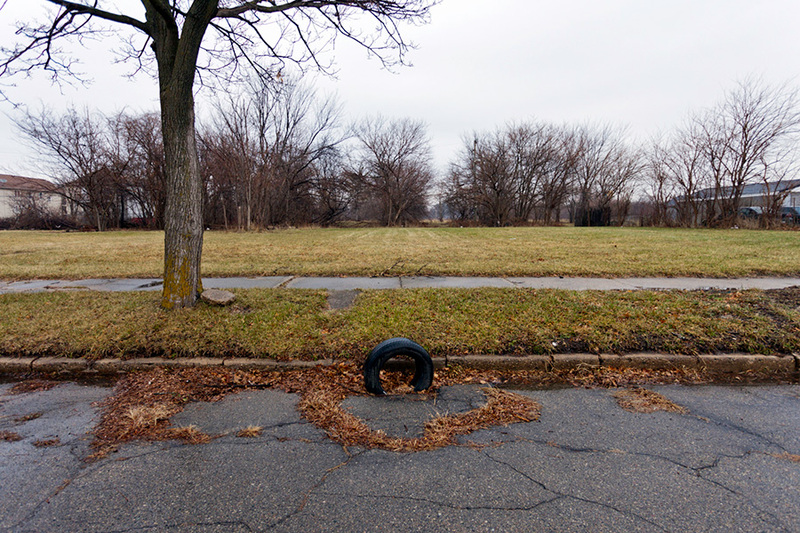 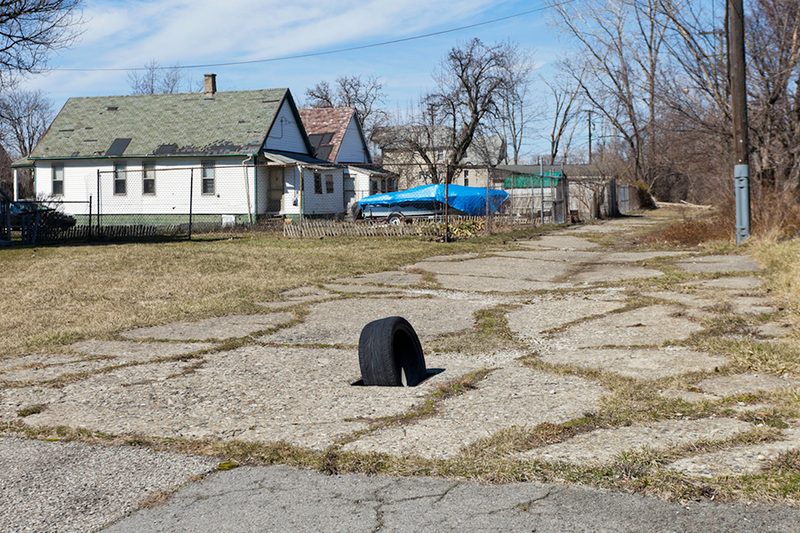 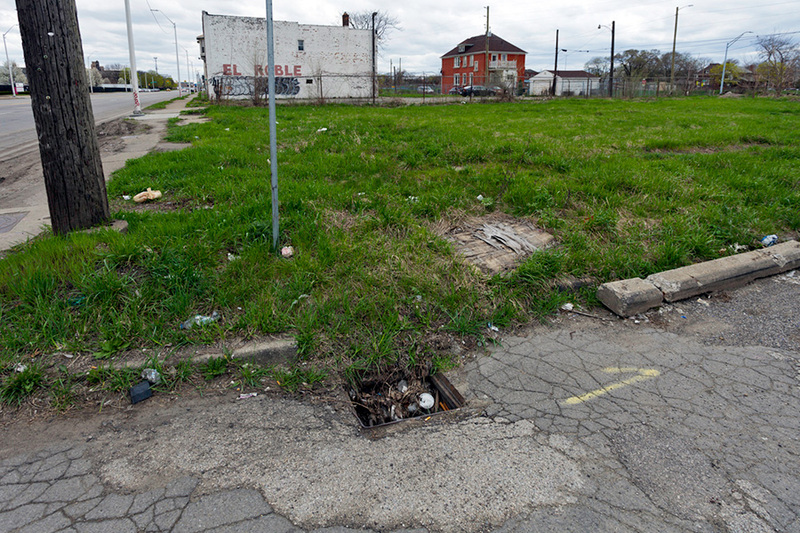 HOLES is an ongoing photo series documenting the preponderance of open manholes, sewers, and other random holes throughout Detroit, as well as the creative ways people use to warn others of these potentially hazardous openings. 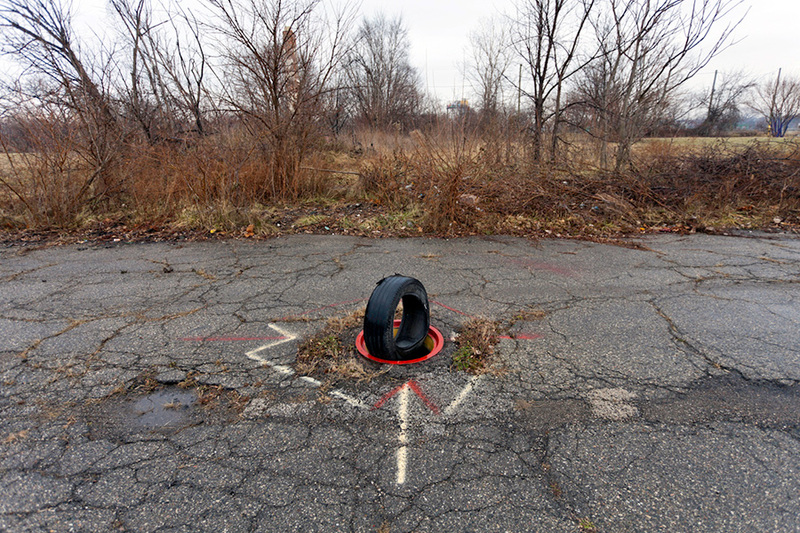 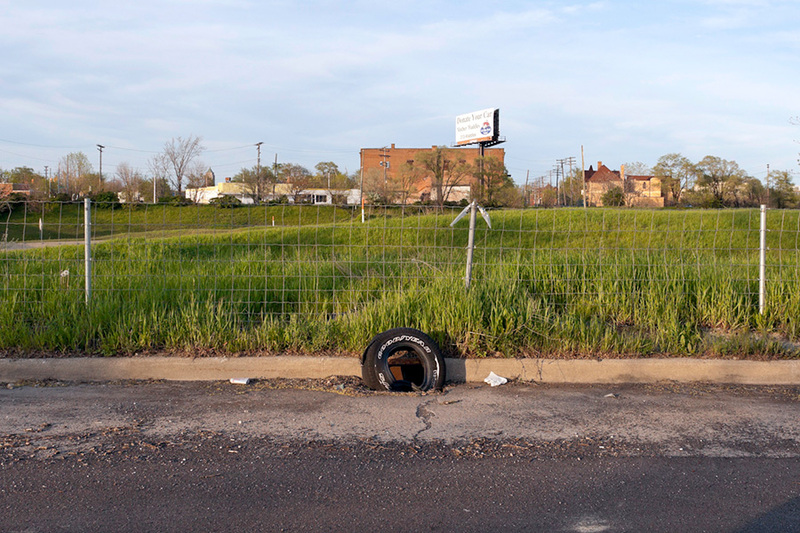 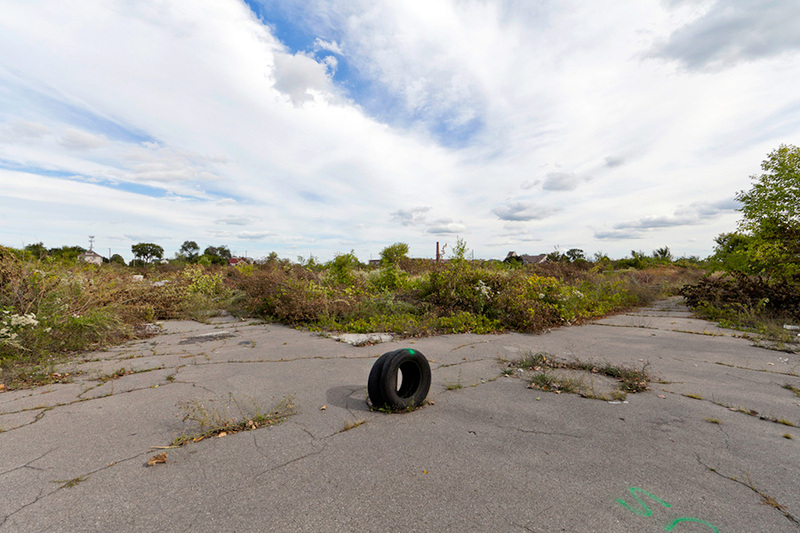 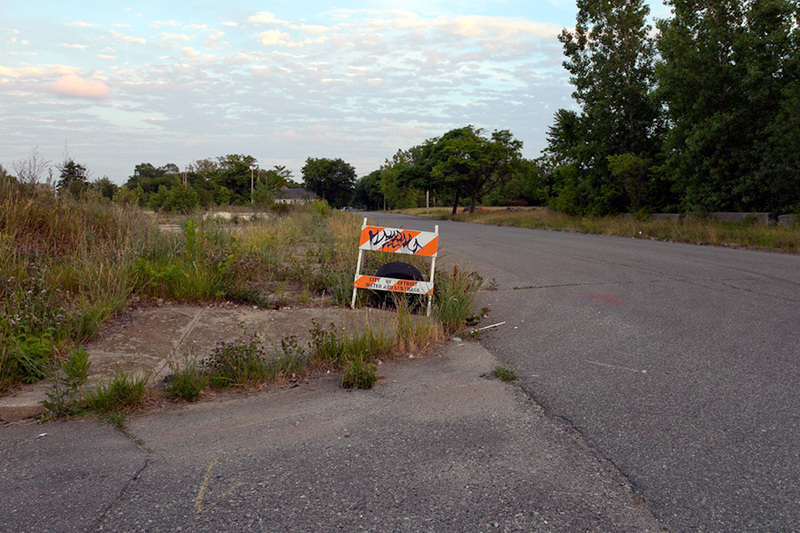 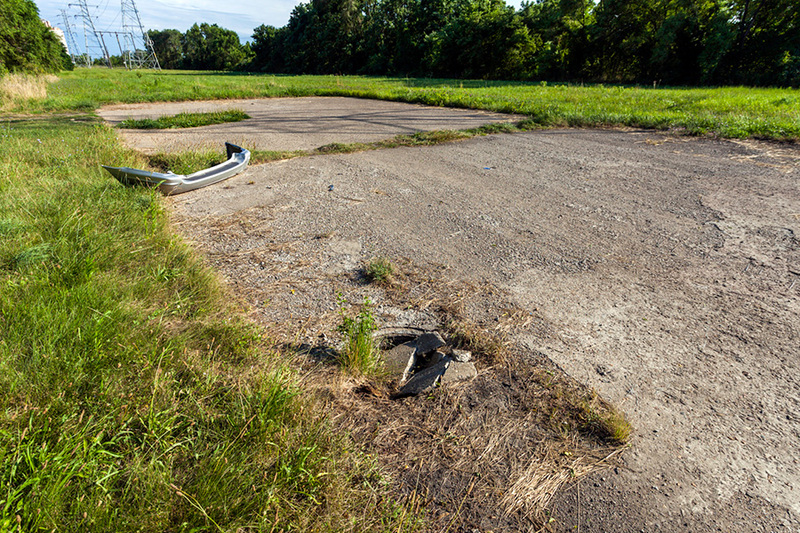 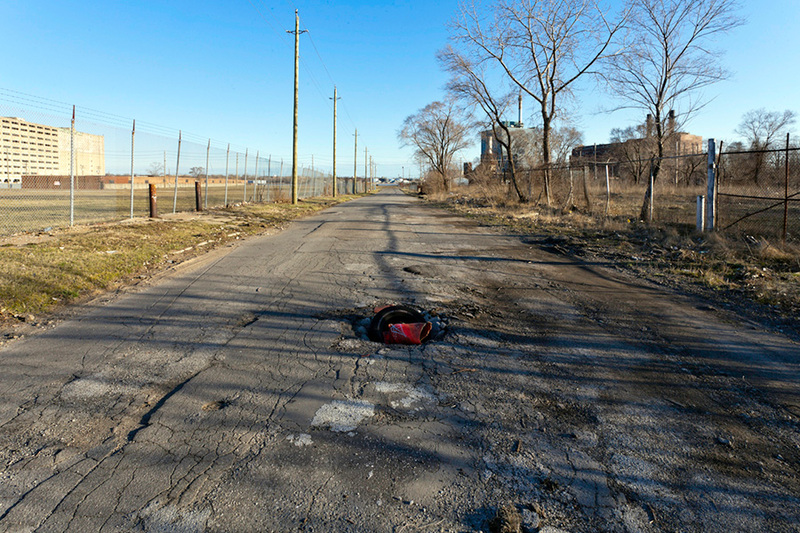 Alternately called Detroit Donut Holes, the method of using old auto tires to mark open holes has been a Detroit tradition for decades. 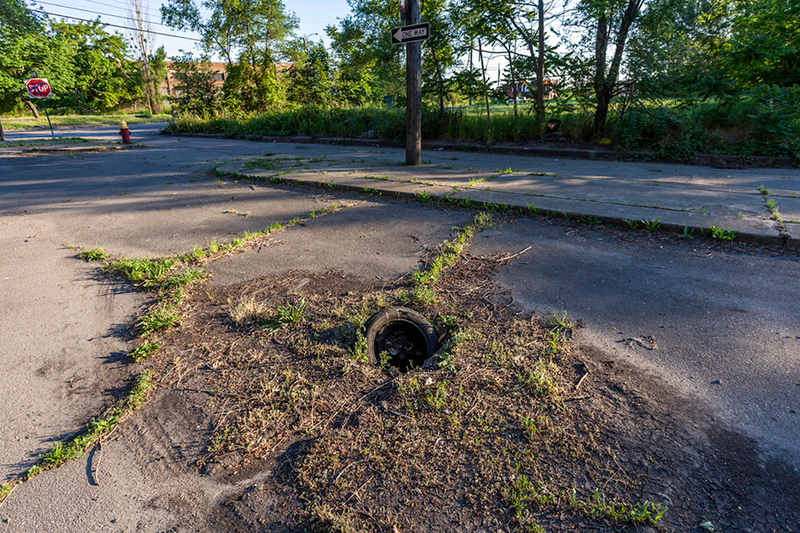 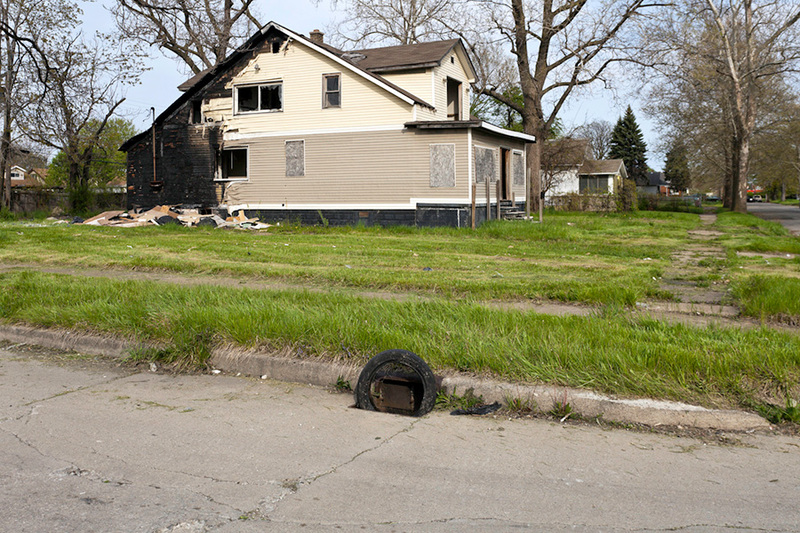 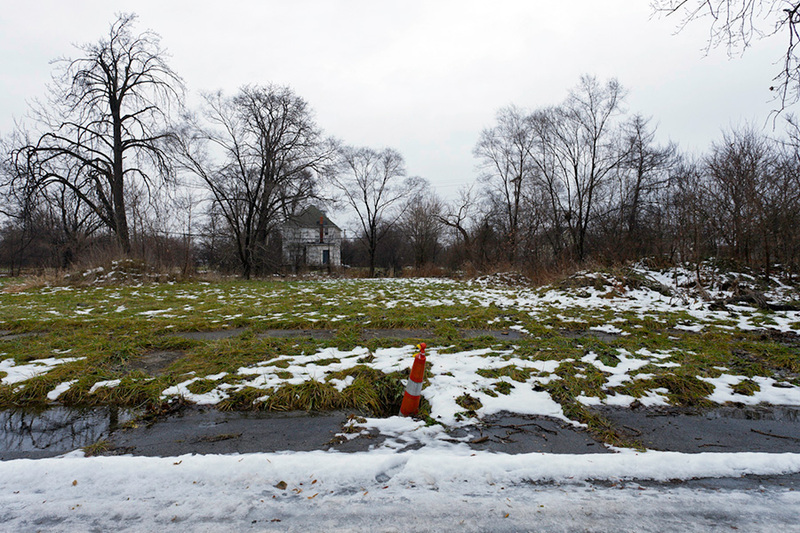 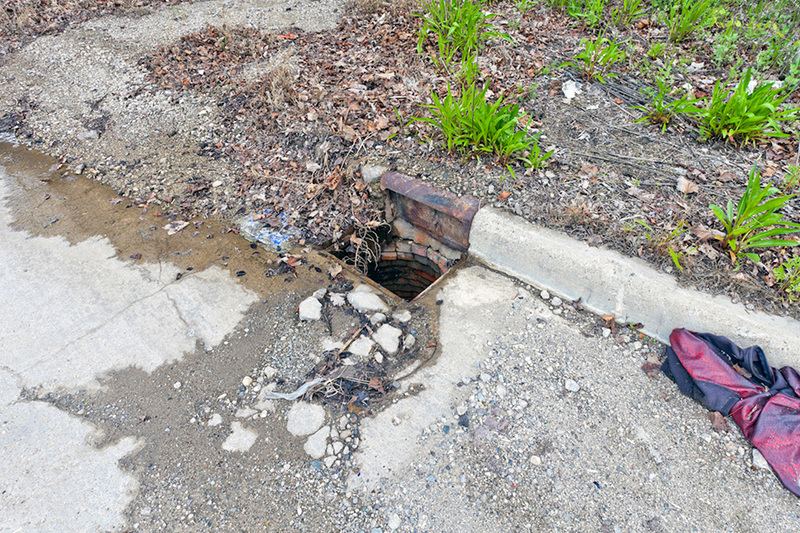 Like many things that were commonplace throughout Detroit over the last few decades, the scrapping / salvaging of cast iron manhole covers from forlorn neighborhoods and streets, as well as the methods of marking these holes, is a strange, disappearing aspect of a city that's rapidly changing.